Offerings to Ganesha, a photo by Nerdimus Prime on Flickr. 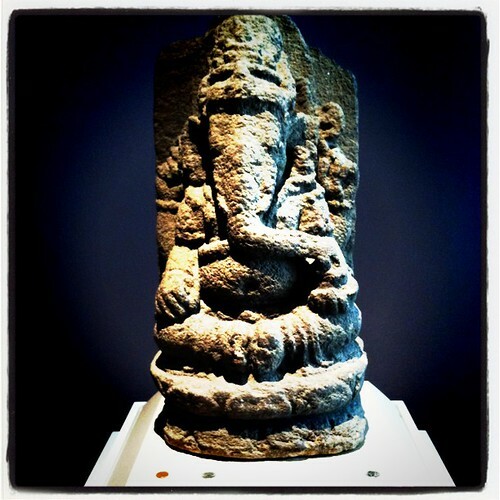 Statue of Ganesha at the UMMA. Coins had been left at the base as offerings. On impulse, I added a nickel.